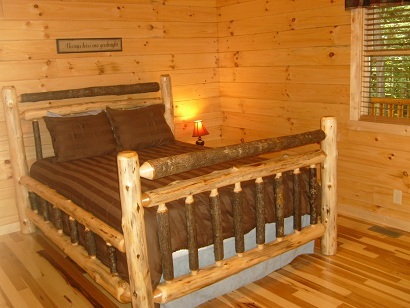 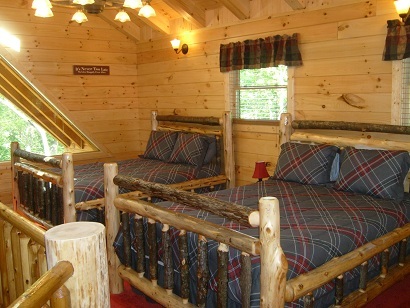 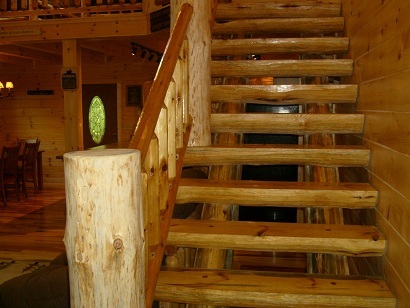 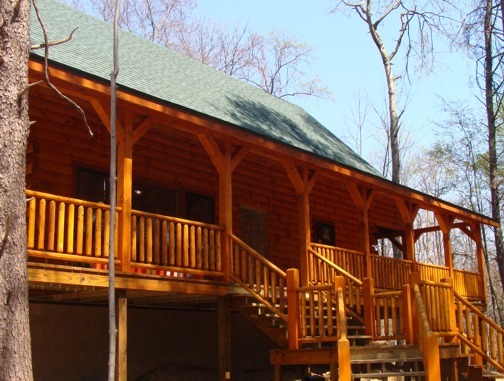 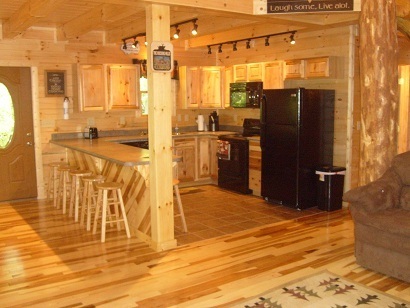 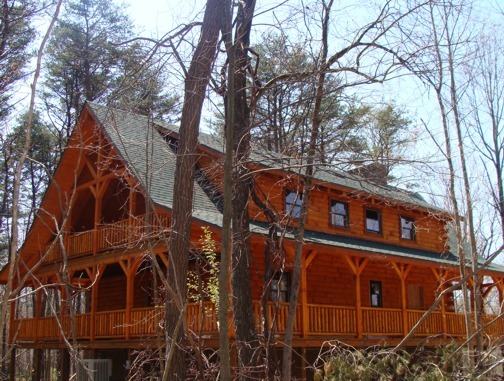 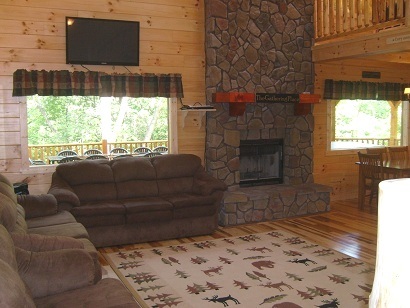 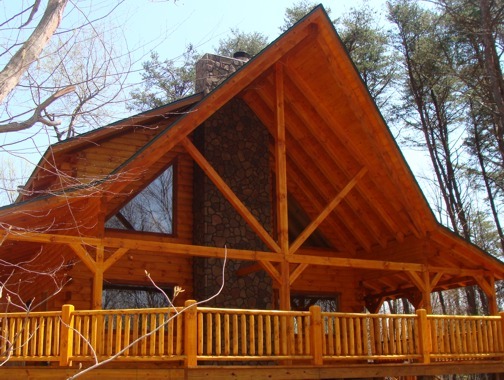 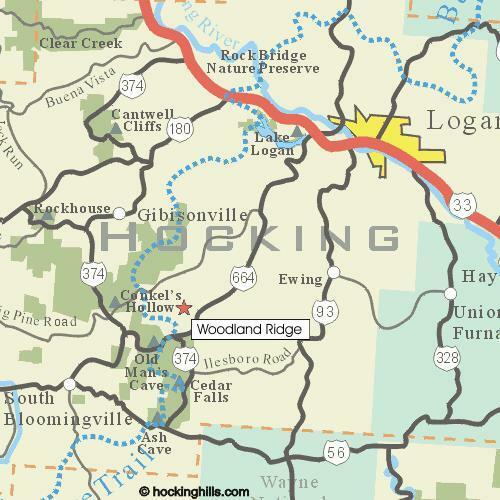 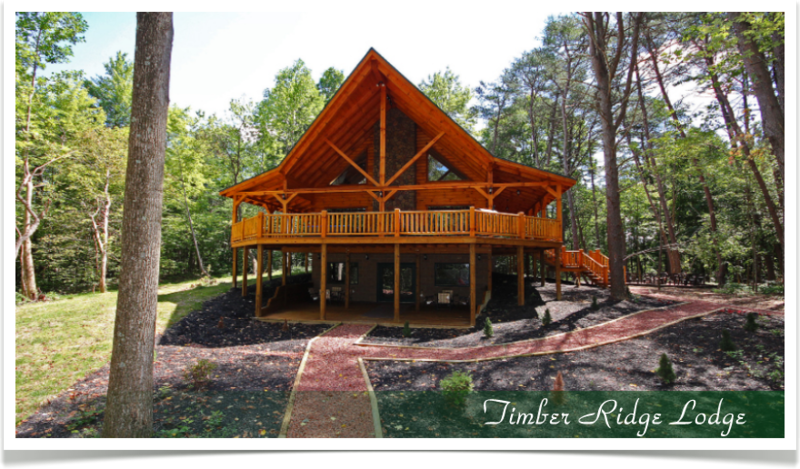 The Timber Ridge Lodge sleeps 20 people with 4 private bedrooms with queen size log beds, and features a private 400 sq ft honeymoon/presidential suite in loft. 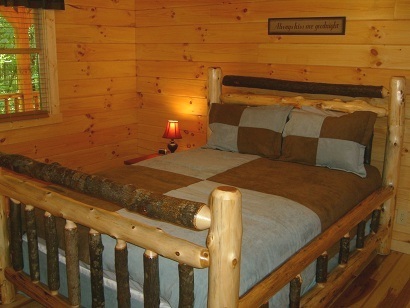 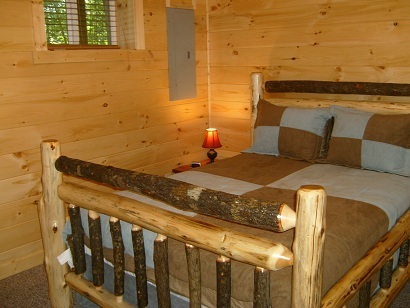 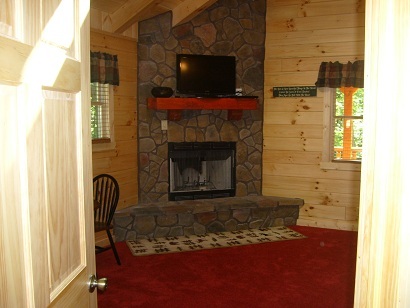 This suite features a King size log bed, wood burning, stone fireplace, private bathroom with 5 ft shower with 2 shower heads. 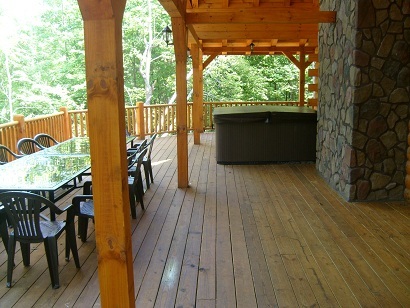 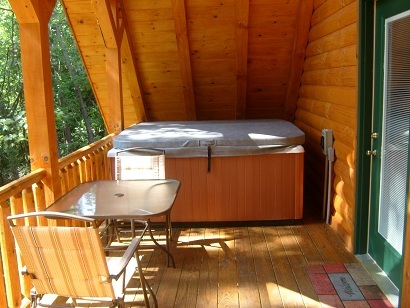 Private balcony and hot tub only accessible from your private suite! 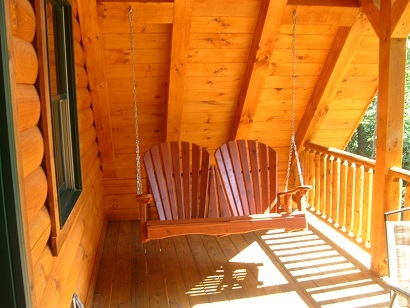 A very comfortable and romantic suite that you can spend your whole weekend in if you like!! 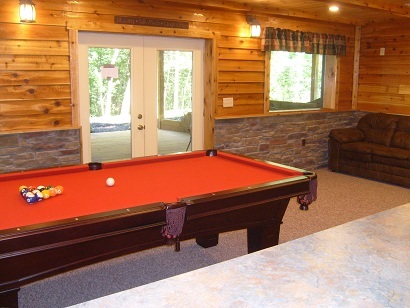 Comfortable loveseat sofa for 2 people, table and 2 chairs, and your own private balcony and hot tub only accessible from your private suite! 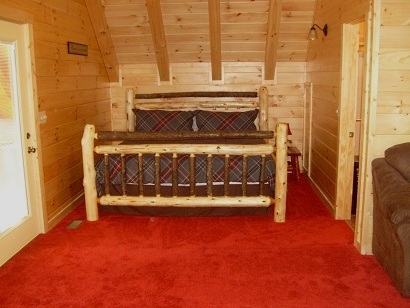 • Two comfortable futon bunks in lower level. 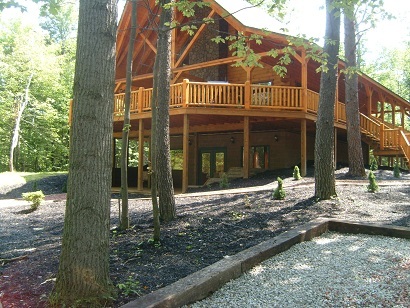 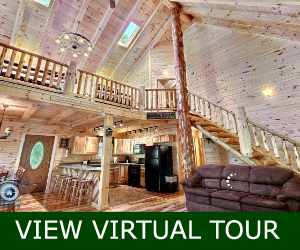 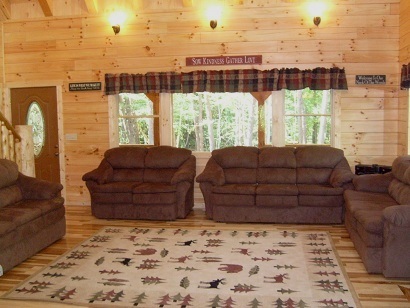 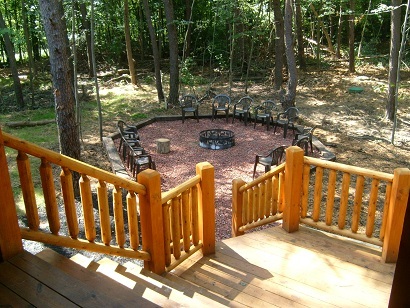 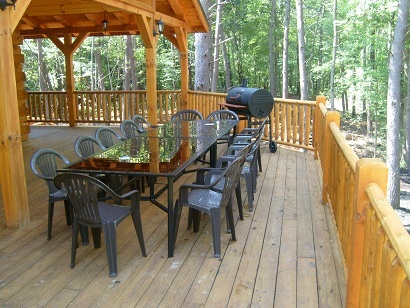 • Hot tub on main deck and huge outdoor fire ring with plenty of seating.